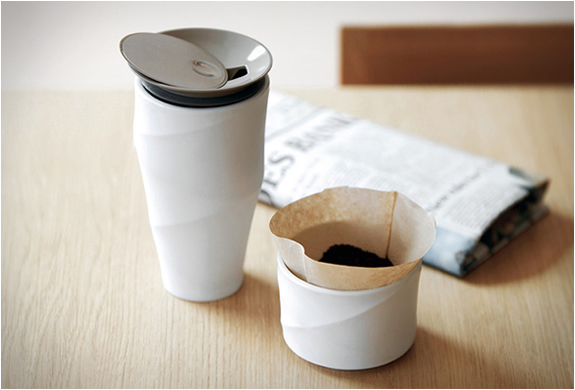 The beautiful and elegant Wave Coffee Tumbler not only looks good, it was ergonomically designed to be held easily with the simple and flowing curve outline. 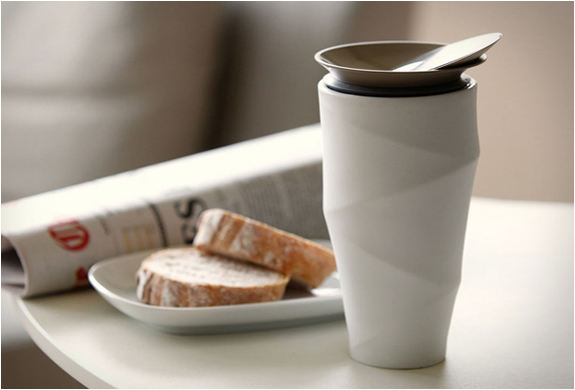 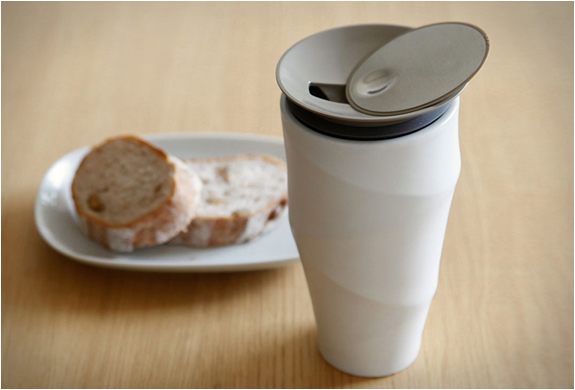 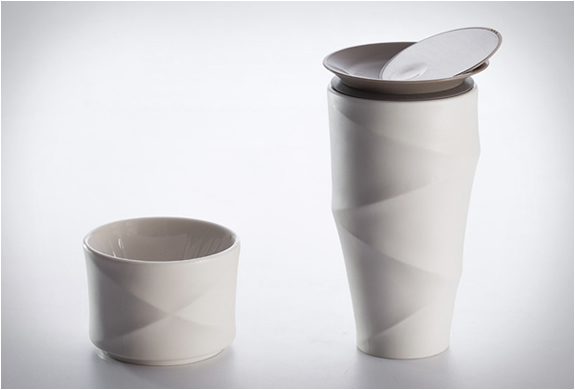 The mug is made out of double walled porcelain to help you keep your favorite beverage well insulated and warm for longer. 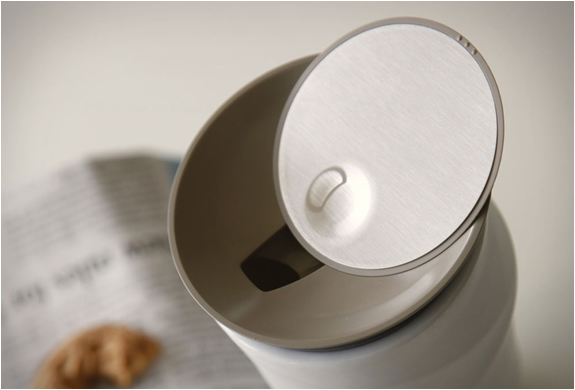 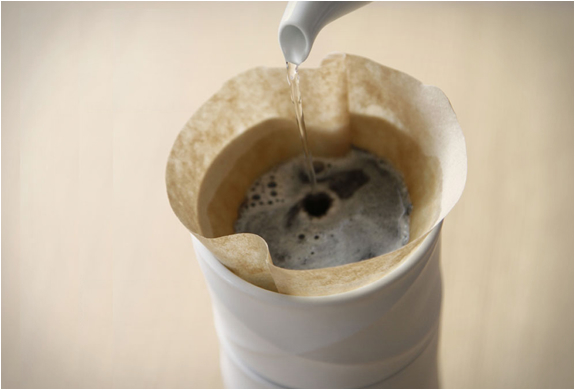 It also features an advanced stainless steel sliding lid, and comes with a drip filter holder that fits perfectly on top, allowing you to also make your own coffee on the go.